Zimbra Collaboration Suite (ZCS) is a free, open source Email and Collaboration server for enterprises, which includes an email server and web client components used to provide complete messaging and collaboration solutions. 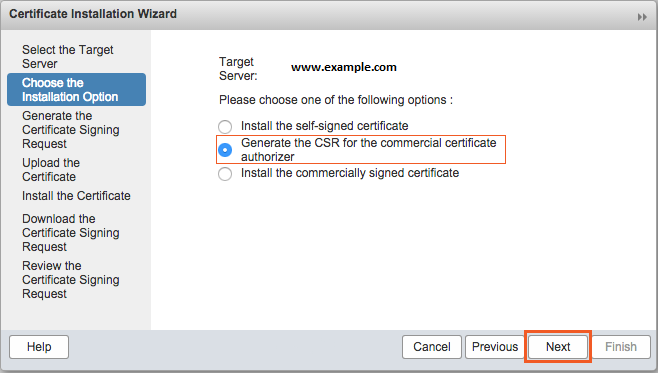 First of all, You will need to generate CSR (Certificate Signing Request) on your ZCS and send the CSR to issuing Certificate Authority (CA) for issuance of valid SSL certificate. Login to your Zimbra Administration Console using a browser and navigate to Home > Configure and click “Certificates” option. On the right Click on “settings” icon, click “Install Certificate” option. 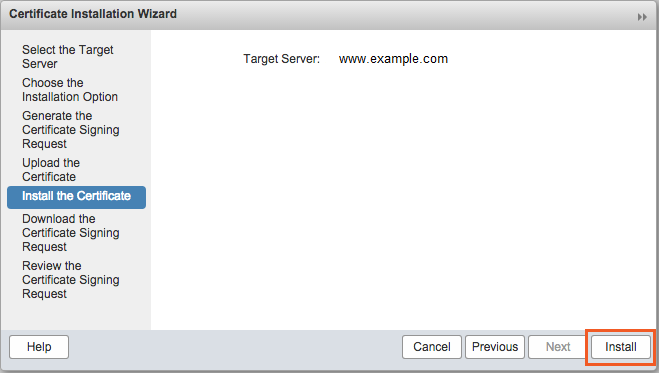 Now, Certificate Installation Wizard will pop up, where you can select your targeted server name for SSL certificate installation from left navigation pane, then click Next button. 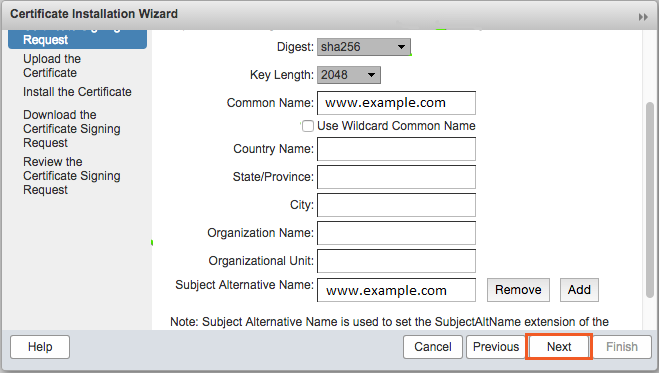 For Wildcard SSL certificate request, check the box “Use Wildcard Common Name”. For Multi Domain SSL certificate request, you need to specify another Subject Alternative Names in form field indicated in picture above. 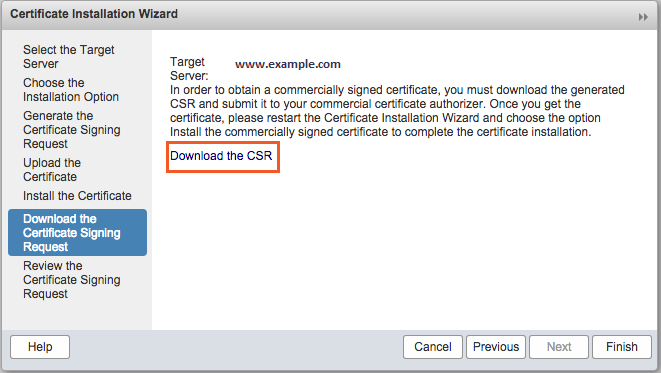 Next, Click the Download the CSR link to save CSR file that you need to send to Certificate Authority in order to get SSL certificate. What if you missed 6th step? 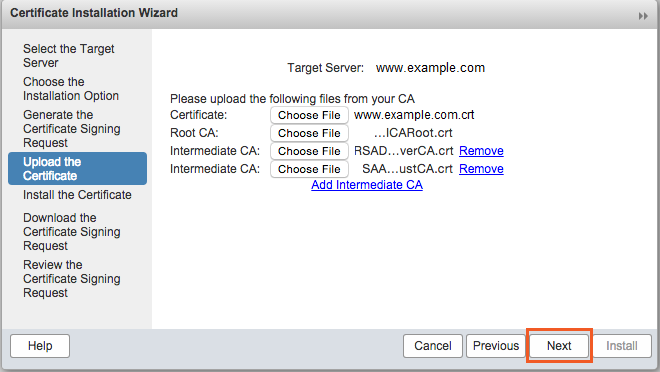 Extract four certificate files or CAbundle that you received in a ZIP file via email sent from CA (Certificate Authority) includes Primary Certificate File (.crt), Root CA (ICARoot.crt), and both Intermediate CA files. 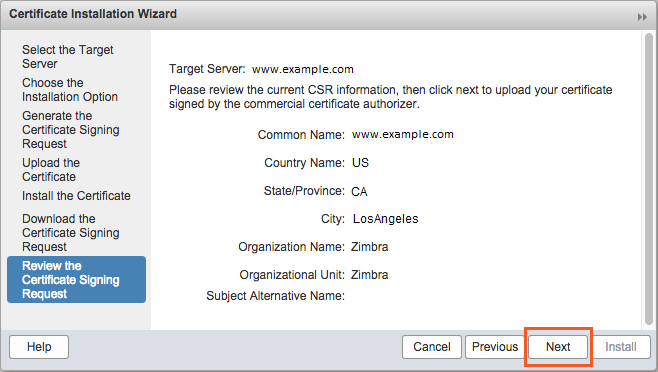 Follow the instructions to install CA signed SSL certificate files on your targeted server through Zimbra Administration Console. Select Review the CSR request from left navigation pane, click Next. In the left navigation pane, click Upload the Certificate option to add one by one all certificate files received from CA in their respective places, and then click Next. 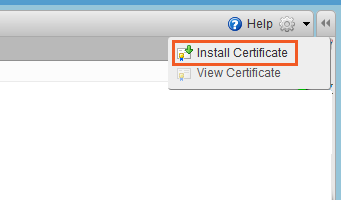 Select Install button under selection of Install the Certificate as shown in left navigation pane. 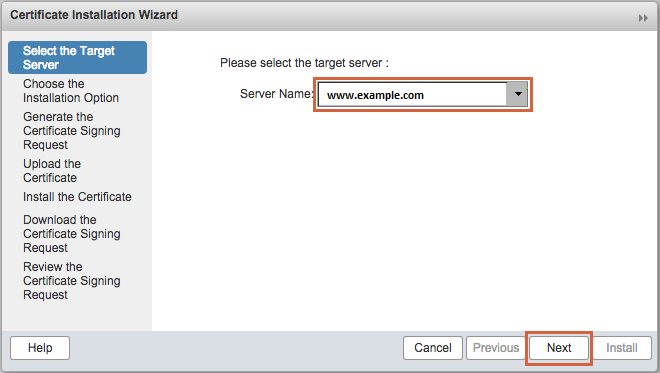 Restart your Zimbra Collaboration server (ZCS). Finally, you have configured SSL certificate on your ZCS Server. You can view installed certificate upon returning to Admin Console. For SSL installation on Zimbra Collaboration Server (ZCS) via CLI, you will have to concatenate (combine) four CAbundle files received from Certificate Authority using a text editor and save file name as commercial_ca.crt. Please note: Copy and paste all the files and the data in the sequence like the primary certificate file (your_domain_name.crt), then intermediate certificate (your CA.crt) and in the last root certificate (trustedroot.crt). 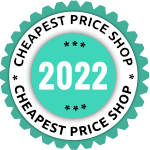 Always start with the BEGIN, and END tags in the certificate content. 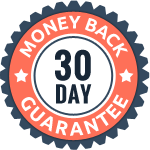 You’ll get response OK, upon successfull certificate validation. Previous PostPrevious How to Install SSL certificate on Oracle WebLogic Server? Next PostNext Free SSL Vs Paid SSL Certificate: Which is Best for You?